The world wondered whether Sudan was finally seeing its own Arab Spring revolution this week when massive protests rocked several towns, including the capital Khartoum. 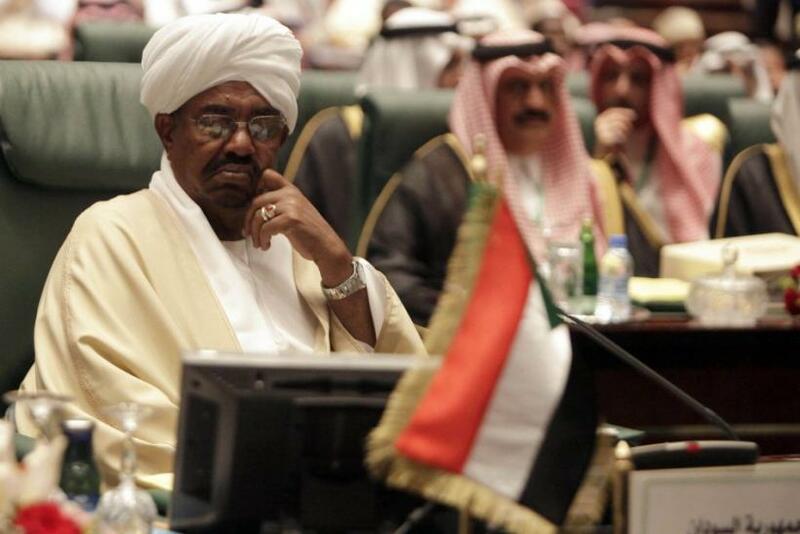 But the turmoil appears to have abated by Wednesday, suggesting that President Omar Bashir has kept a lid on popular dissent once again. Bashir has been in power since a 1989 military coup, having weathered a series of opposition protests large and small in recent years. His ruling bloc, the National Congress Party, has been accused of suppressing political opponents and dissent in the media. The president himself has been indicted for crimes against humanity with the International Criminal Court, but he denies accusations that he has backed atrocities against civilians in the western region of Darfur. For the people of Khartoum, economic issues are front and center. Sept. 23 marked the removal of a fuel subsidy that had been costing the government $1.7 billion a year, and citizens immediately saw the prices of gas and cooking fuel nearly double. Protesters came out in force -- not only in Khartoum, but in smaller towns like Wad Madani, Port Sudan and Kassala. By Wednesday, however, many offices were open for business in the capital. "There is no problem outside," said one staffer at a medical clinic in Khartoum. "Things are normal here." Over the past two years, several major protests in Khartoum have been compared to the Arab Spring revolutions in nearby countries. But unlike the demonstrators in Egypt, Libya and Tunisia, Sudanese citizens haven't achieved anything close to a regime change. It's impossible to say whether this week's movement is fizzling just yet -- but if so, it would mark yet another victory for a perennially powerful government. In 2011, while several Middle Eastern and North African countries were going through uprisings that toppled dictators, protesters in Sudan attempted to follow suit. January and February saw a few student-dominated protests against corruption and fiscal mismanagement, but they were eventually quashed by security officials. Sporadic, smaller-scale demonstrations were the norm until the summer of 2012, when protesters took to the streets yet again -- this time in outrage over a new round of austerity measures meant to curb the country's economic crisis. About a dozen demonstrators lost their lives in clashes with security forces, but that movement eventually faded or went underground. Dissent popped up once more in December over the mysterious deaths of four students from Darfur who were protesting tuition policies, and has been simmering ever since. The current round of protests was sparked by the fuel price hike, but that came against a backdrop of high unemployment, skyrocketing inflation and widespread poverty. Sudan's economy has been in especially dire straits since the secession of South Sudan in 2011, which took three-fourths of the total oil reserves with it. Sudan still possesses the pipelines needed to get all that crude to market, and both countries still rely heavily -- too heavily -- on oil revenues. But disputes over transport fees and ongoing accusations of supporting rebels across borders have kept Sudan and South Sudan at odds. The main pipeline was shut down for 16 months beginning in early 2012; even though the flow has since resumed, it's down to 200,000 barrels per day -- about half of peak levels. Average citizens have been feeling the economic pinch for years, but this week's protests are by far the worst in terms of lives lost. The government says 34 people have died, but many observers, including Amnesty International, say the number is at least 50. Ahmed Al Sheikh, who heads the Sudanese Doctors' Syndicate, estimates a death toll of over 200. Media offices for international outlets like Al-Arabiya and Sky News Arabia have been shut down, and hundreds of suspected opposition supporters have been arrested. Just as in previous uprisings, some of the most visible protesters have been university students. At educational institutions like the Ahfad University for Women in Omdurman, Khartoum's sister city just across the Nile River, students held rallies early this week despite the threats of tear gas and police aggression -- but that may have been the end of it, according to AUW professor Nafisa Bedri. "What we had in AUW campus were limited scale of student riots that were entirely inside the campus for two days," she said on Wednesday. "These did not disrupt the campus as classes continued as planned as well as work. Today the campus is quiet and classes and work are going smooth." One of the problems that has long dogged the Sudanese opposition is its lack of cohesion, making the impressive breadth of this week's protests a double-edged sword. One civil society group called Girifna maintains that "what separates this new wave of protests from previous ones is that the protests are not led, coordinated or mobilized by known political factions or youth movements. These protests are more grassroots in their nature and not geographically localized in specific neighborhoods." But movements like those can be more difficult to mobilize. Prominent opposition actors include old political blocs like the National Umma Party and Islamist groups like the Popular Congress Party. Though both supported the protests, their views often clash with those of civil society groups like Girifna, which garner much of their support from younger, urban and well-educated Sudanese. These are often the ones gathering in the streets to protest -- but they, in turn, have little in common with poverty-stricken citizens, who make up about half the population of the nation. Even the fuel price hike that sparked so much resistance won't be felt by most of Sudan's people -- at least, so said an IMF report last year, which recommended that the subsidy be lifted since nearly half of its benefits were accruing to the richest one-fifth of households. The report argued that savings from the subsidy removal could be funneled toward sustainable development projects. Accordingly, the ruling party said this weekend that it would authorize small aid packages of 150 Sudanese pounds for 500,000 needy families, and that public employees would soon see a pay increase. Bashir seems to hope these short-term measures -- combined with a strong response from security forces -- will be enough to dampen the protests again. And if recent history is any indication, he may be right.